Sweden’s SKF, the world’s biggest maker of industrial bearings, has announced it’s cutting 2500 jobs and expanding and accelerating its cost cutting program. SKF, which launched a cost reduction program in 2010, now aims to reduce annual costs by 3.0 billion kronor ($A442.05 million) by the end of 2015, including 1.5 billion for the years 2012 to 2015, it said on Monday. “This will impact some 2500 people primarily through early retirement and other voluntary and agreed reductions,” SKF said in a statement. The company, which also makes sealants, is an important supplier to many parts of the industrial processing chain and therefore regarded a leading indicator of activity in manufacturing and machine tooling. It has reported a drop in net profits for four quarters running. In the third quarter of 2012, it registered a net profit of 1.23 billion kronor, down 23 per cent from a year earlier. “Demand weakened as we went through the fourth quarter and we expect it to continue at this lower level at the beginning of this year,” chief executive Tom Johnstone said, adding that inventories were lowered by more than 600 million kronor. 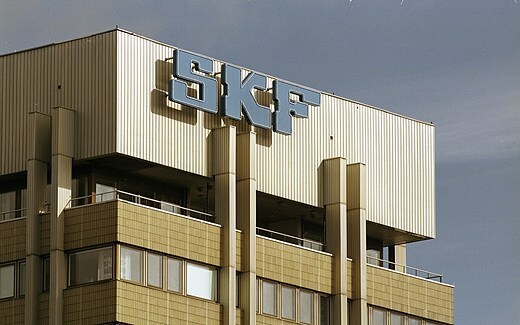 Johnstone said SKF would report restructuring costs of 200 million kronor in the fourth quarter, as the first step of the program and 100 million kronor for impairments and write down of assets. The fourth quarter report is due to be published on January 30.